Ouch! Your Back Pain Is Hurting You! Your back pain is hurting you. That is why it is called back pain. Pain is usually put into two categories acute or chronic. Let’s say you did something like twist the wrong way or bend to pick up something without bending your knees. WHAMO! You stop dead in your tracks almost like a deer in the headlights syndrome. 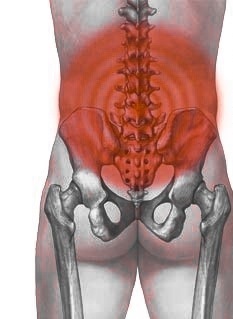 You feel this sharp pain in your lower back and you are totally immobilized or you experience limited movement. You do not move for fear of increasing that pain. This can be described as acute pain. It usually is limited in time of feeling the pain and usually will go away relatively quickly as long as the silly thing that you did was not too serious. Chronic back pain on the other hand can be due to an old injury or degenerative in nature like arthritis and spinal stenosis and last indefinitely. Of the two, chronic can be the most intimidating and debilitating not only because of the pain but due to its indefiniteness. This type of pain can make one want to act like Linda Blair’s character in The Exorcist, can’t it? And in this case I am 99.9% sure that an exorcisms is not one of your options unless… . Regardless whether acute or chronic, pain is pain and it affects us all at some point in our lives. Here are some approaches to dealing with these pains outside of surgery. • We can try first to use the power of our minds. I know that this one is easier said than done. Many times the pain is so excruciating that you cannot get to that positive place. Many have tried and succeeded by focusing on positives things in their lives through mediation and yoga. That process has been shown to lessen how we feel pain. • Inactivity and being sedentary will increase the chances of injury. Regular excercise, yoga, stretching, walking all minimize the potential for harmful back pain. This is even more important as we age. Keep the stomach muscles worked as much as possible. They truly support your back muscles. • Think of what you are sitting on, sitting at and posture. The “wrong” any of these things either individually or collectively can increase your chances for that dreaded back pain. • Now, I being a guy most definitely love seeing a woman in high heels and even know the reasons why! But, I also know that it can be problematic over the long hall for women. I have heard that well over 50% of women who wear high heels over a long period of time complain of lower back pain. Go ahead, I can live with seeing you in a lower heels. • Yes, weight is also a definite contributing factor. So watch it! • Ice it not heat it at the first occurrence of the injury, because though you might feel better initially with the heat it actually will inflame your pain more. • Acupuncture, massage, acupressure are all effective alternative approaches to getting relief from back pain. • POPPING IT! No not your back nor dancing, but pills. This is something I am posting next to last. The majority of Americans do this all too often. OVER THE COUNTER ( OTC) pain relievers are their ubiquitous title. They come under various commercial names such as acetaminophen, aspirin, ibuprofen, and naproxen. Add to that prescription drugs such as antidepressants, muscle relaxants and anti-convulsants. They all assist with pain management. HOWEVER ONE CAVEAT… every last one of them has more than their fair share of listed warnings. And yet, we POP them like candy and really do not seem to care what these things are doing to our bodies. This is where Cieaura can step in. We have an approach that helps your body to help itself, naturally. This signature system uses holographic stickers/chips called PureRelief that acts like acupuncture but with a few exceptions. You can administer it yourself. Do not let that big word “administer” scare you. You see, no needles, no pills, no injections are used. Just something that looks like a sticker or small band aid. • EXPECTATION – ( not a miracle product ) You have had a chronic issue which you probably did not acquire overnight. And even if the pain is acute note that this product is designed to influence, adjust and bring your body into a more balanced state. Give it time to do that. • And best of all there are no litany of side effects. This is non-transdermal which means that nothing enters your body. A surgical procedure may become necessary that is of course a decision for you and your doctor. Hopefully though you can find a non-surgical means to either alleviate the problem or make your life more manageable — without the use of drugs and or the side effects they present. Listen to how Rio was helped! NOTE: Use Your Earbuds! You Do Not Want To Miss A Word! This entry was posted in Discomfort, Health and Wellness and tagged Acupuncture, alternative therapies, Ayurveda, back pain, Chakras, chiropractic, energy medicine, holistic, holographic chips, meridians, needle-less acupuncture., non-transdermal, pain, pills, Qi, side effects, technology. by chipsterhealth. Bookmark the permalink. 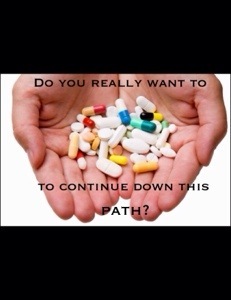 I have 3 adult friends over the age of 55 who had been taking RX meds for pain. 2 got samples and been on chip heaven since. 1 waited 1 year to believe. When the back pain was so severe and pills were not working and now can’t sleep, I got the call. Chips git her relief and away from meds. I also have a retired Marine who finally got a chance to tie his shoes after 5 years. All have been on RXs for pain. Now with more mobility, more healthy and not worrying about effects and addiction to pills. These examples are the ones who were sick and tired if being sick and tired. Just add more water to the body. A maintenance supervisor, large garrison mobile repair supervisor and 2 retired women who do not sit for nothing. Thanks for sharing these stories with my readers and me. Wellness and pain relief with holographic chips. Now there is a an alternative worth considering. Zina, you betcha. Attitude, prayer, meditation are all aspects that have shown to help us deal with and overcome much — the power of God, powers of the mind and the spirit But as with a lot of things sometimes a little bit (or a lot) of additional help is required. It is knowing how and where to get the appropriate kind. Great content. I love natural remedies for what ever ails us. Holographic chip? hmm. Interesting, indeed.